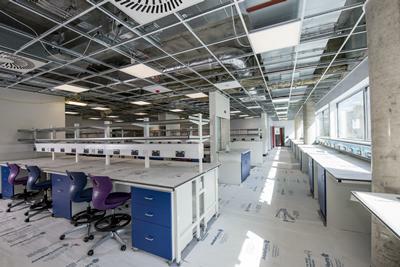 The University of Southampton’s campaign to build a new centre dedicated to cancer immunology research has entered its final phase thanks to a major gift. The £2 million gift from a donor who would like to remain anonymous, means the campaign is within reach of the £25 million target. The current total now stands at £23.8m. The Centre for Cancer Immunology is the first of its kind in the UK and will bring together world leading cancer scientists under one roof and enable interdisciplinary teams to expand clinical trials and develop lifesaving drugs. Not only does this latest generous donation bring the University closer to the target, the Centre is expected to be completed in early 2018. Immunotherapy is a revolutionary treatment, supercharging the body’s natural defences to find and destroy cancer. The new treatments being developed by Southampton scientists, in the form of vaccines and antibodies, direct special immune cells against cancers. These ‘killer’ cells can control and shrink cancer and give long-lasting protection. The University is developing treatments to target some of the most aggressive forms of the disease including cancers of the lung and skin, and childhood Neuroblastoma. For decades Southampton scientists have made a number of advances in tumour immunology and immunotherapy research with a reputation for its ‘bench to bedside’ results. The gift will fund a specialist laboratory suite on the third floor of the Centre, which is based at Southampton General Hospital. It will be home to five groups of scientists researching ways antibodies can be used to attack cancer and boost natural immunity to tumours. The teams investigate how immune cells interact with anticancer antibodies and engineer new and better versions of these antibodies to ensure a lasting protection from cancer. Cancer knows no boundaries and two people that know that all too well are John and Hilary Course, from Chandlers Ford, Hampshire, who were diagnosed with advanced stages of melanoma and lymphoma respectively, in the same year. In 2007 Hilary was told she had the first stages of melanoma (a type of skin cancer that can spread to other organs in the body) after noticing a strange spot on her arm. During surgery at Southampton, more cancerous cells were discovered in Hilary’s lymph nodes. Removing them seemed to address the problem but four years later a CT Scan revealed the melanoma had come back and was now at stage four (the most advanced stage). Hilary had chemotherapy which initially seemed to work. But, unfortunately, after just a few months, it stopped and she was given an immunotherapy drug called ipilimumab in conjunction with radiotherapy which thankfully dealt with the cancer. Devastatingly and coincidentally this was around the same time that John was diagnosed with non-Hodgkin lymphoma (cancer of the lymphatic system). He took part in a trial involving a combination of chemotherapy and immunotherapy, with the hope that the immunotherapy would significantly increase John’s chances of beating the cancer. After three treatments, a CT scan showed that all the tumours had gone down except one, which was taken out. 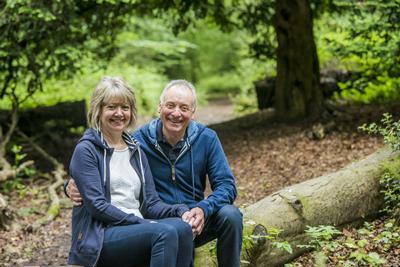 John had follow up radiotherapy as a precaution and continued to take the immunotherapy drug. Three years on he is living cancer free. 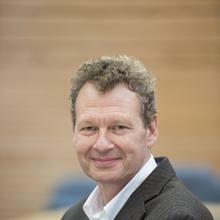 “Opening a new centre, dedicated to cancer immunology research, is fantastic. This will only make things better, helping to eradicate cancer and give hope to more people. There are more survivors now and the more research there is, the more survivors there will be,” adds John.